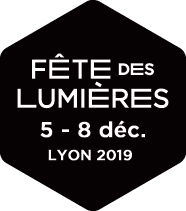 As you stroll under the light of Chinese lanterns hung from the trees on Rue de la République, Rue Grenette and Rue Serlin, you can get a taste of the Chinese New Year tradition. These lanterns were offered by the city of Canton (China) to Lyon in the context of their twinning. From Cordeliers to the Lyon City Hall, help commemorate the 50th anniversary of the beginning of diplomatic relations between France and China.